Our Saver Pack nitrile series will help you save by reducing packaging waste, decreasing shipping cost, stocking time, and overall cost per box. An average box of gloves contains 100 pieces, but with our saver packs you can receive 200 or 300 pieces in one box. Why waste when you can save? 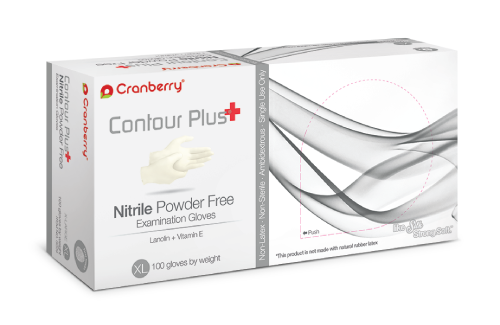 Nitrile gloves are a great alternative for those that are prone to skin irritation and allergic reactions. Nitrile gloves offer the same strong durability and superior level of protection as traditional latex gloves with increased tactile sensitivity, tear resistance, and a more comfortable fit. Cranberry offers a variety of options from our Nitrile Classic series with innovative features guaranteed to fit your unique needs.